NICOLE LECLAIR was the 2014 BHIP intern at PRESS. She recently graduated from the Visual Media program at the Rochester Institute of Technology in Rochester, New York. Her interests are in the history of photography, museum studies, imaging systems, and graphic design. She loves reading, making photographs, practicing American Sign Language, and collaborating with writers and other artists. During the school year she is a teaching assistant, note-taker for deaf students, and volunteer at the Image Permanence Institute. During the summer of 2013, she was an intern to the curator of photographs at the Princeton University Art Museum where she learned a lot about curatorial practices. This summer through the Berkshire Hills Internship Program she’ll be working at PRESS Gallery. She is really excited to learn to use the letterpress and expand her typographic knowledge by working with Melanie and Jonas at PRESS. ANTOINE SCALBERT was the 2013 summer B-HIP intern. When growing up in Paris, France, he was exposed daily to the wonders of le Louvre, the Opéra de la Bastille, the Centre Pompidou, and many other world famous cultural destinations. Unfortunately for him, he was too stubborn at the time to enjoy it. It was only years later that he realized he wanted to work in the arts.Antoine loves music and cinema, museums and performing arts. He likes to define himself with his favorite movies; Drive, Lost in Translation, In the Mood for Love, Heat, if you haven’t seen these movies yet, do yourself a favor and go watch them now! Antoine also loved playing in his high school band. His dream was to become a guitar hero, but as his motivation withered, he understood that if he couldn’t become an artist, his job should be to help artists be artists. In 2011, his life took a U turn when he quit studying economics and went to the city of Lyon to become an arts manager. It was in January 2013 that he stumbled upon a very appealing internship program in the Berkshires. Feeling rather adventurous that day, he decided to apply. A couple interviews later, it was officially decided that he would be the new B-HIP (Berkshire Hills Internship Program) intern at PRESS gallery. PAM BUCHANAN has been involved with PRESS since it opened. Having access to a letterpress printer has completely changed the direction of her life and art. She was the Associate Gallery Manager of PRESS during the 2012 DownStreet Art Summer. Pam moved to the Berkshires from Los Angeles with the goal of becoming a professional artist. While in LA, she worked in art production at Warner Bros. Records and learned about printing from a digital perspective. 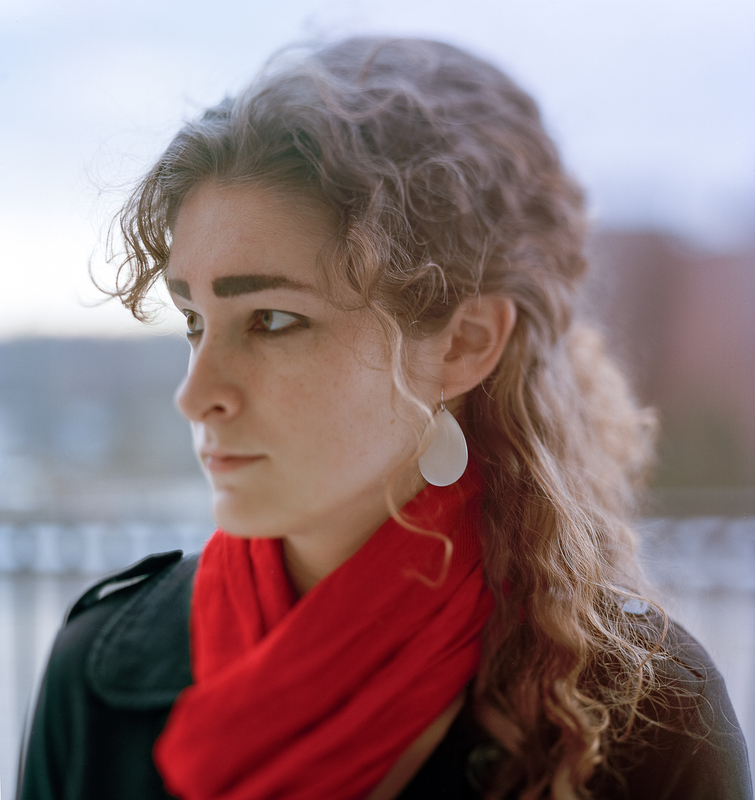 While enrolled at MCLA, she studied with book artist and printmaker Melanie Mowinski and obtained a Bachelor’s Degree in Art. Under Mowinski’s tutelage, Pam learned how to operate the Vandercook, employ the techniques of pressure printing and develop her craft as an artist. Pam has also worked at Norther Berkshire Creative Arts, a local community arts school, where she helped the executive director with office administration, assisted with teaching and ran workshops. PRESS has opened up a world of limitless possibilities for Pam to explore her interests in art, management and education, and she is committed to assisting Melanie in making PRESS a sustaining creative resource in the Berkshires. SHARBREON PLUMMER, the 2012 Summer BHIP intern, has always had a deep connection to the arts. Whether in her hometown of Baton Rouge, LA or its neighboring city of New Orleans, she grew up attending festivals, concerts, art shows, and even taking on some artistic endeavors of her own. During her undergraduate career, she took part in a yearlong internship at Houston Arts Alliance (the city’s local arts council), which solidified her decision to pursue a career in arts management. Working with local arts based nonprofits to advocate for and offer resources to them made her realize that she had found her true passion, and thus she began her journey. She can’t resist a good pun! JASON PEABODY Jason holds the distinct honor as serving as PRESS’s first intern. 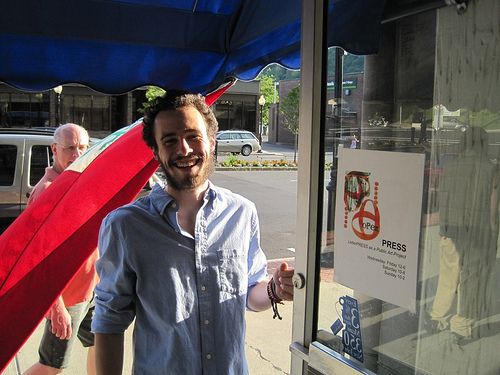 He graduated from MCLA in 2013 and is anticipating an epic road trip before applying to grad school for creative writing and letterpress printing. Read more about him and what the internship meant to him here.